Note that if you are using the Tournament Codes, the stats will be generated automatically! 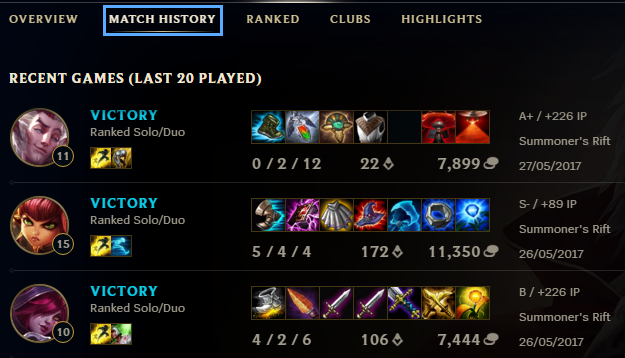 Once you have entered the Match History URL, simply Update, the process may take a few seconds, and you should see "Succeeded" green messages! 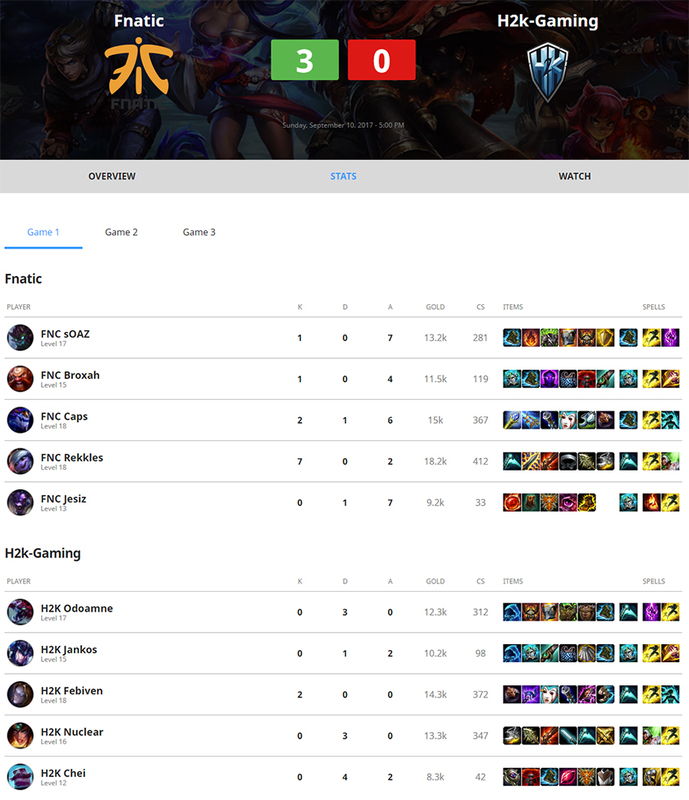 Go to a Player’s "Match History"
Pick a match and click on "View on the web"
This will open the Match webpage in your browser. All you have to do now is to copy/paste the Match URL in the Match report. 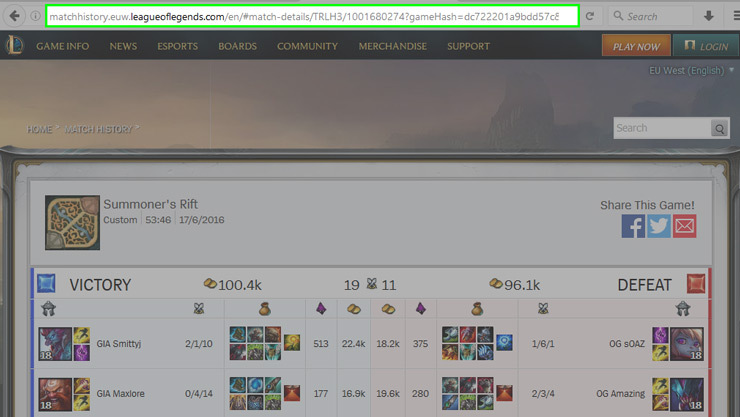 This also works with LCS matches, if you happen to cover them. The URL differs a bit, but it doesn’t matter. 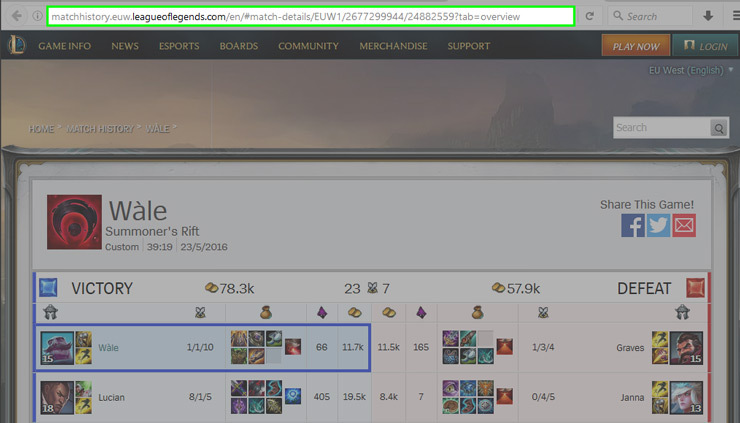 As non-LCS tournaments are played like “Custom Games”, you must then ask one of your participants to provide you with the game URL.